Dan and Laurie Levenson discuss Attorney General nominee William Barr's written statement and subsequent Senate hearing. Andy McCarthy joins the show to discuss Trump, Mueller, and where he thinks the investigation is headed. Lawyer, author, and radio host Hugh Hewitt joins Dan to discuss the dissolution of the Trump Foundation. Part 2. Officer Sean "Sticks" Larking and Tom Morris Jr. join Dan for a special edition of the The Dan Abrams Podcast. The three discuss their careers as well as their experience hosting Live PD, the #1 live show on cable. Part 1. Officer Sean "Sticks" Larking and Tom Morris Jr. join Dan for a special edition of the The Dan Abrams Podcast. The three discuss their careers as well as their experience hosting Live PD, the #1 live show on cable. On Thursday night Mediaite invited the biggest and most important names in news media to a night at Freds at Barneys. 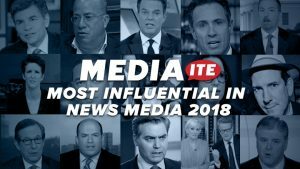 Invited to the party were the top 75 most influential in news media, as determined by Mediaite's 'Most Influential in News Media' list revealed that morning. Dan and Dean Obeidallah discuss Manafort's leaked plea deal and possible implications for Trump's campaign team. Geraldo Rivera talks Trump, birthright citizenship, and the migrant caravan. Larry Tribe, Carl M. Loeb University Professor and Professor of Constitutional Law at Harvard joins Dan to discuss the legalities of Matthew Whitaker's appointment as Acting Attorney General.